Friday Musings – Portland in the Spring is Just. Too. Much! 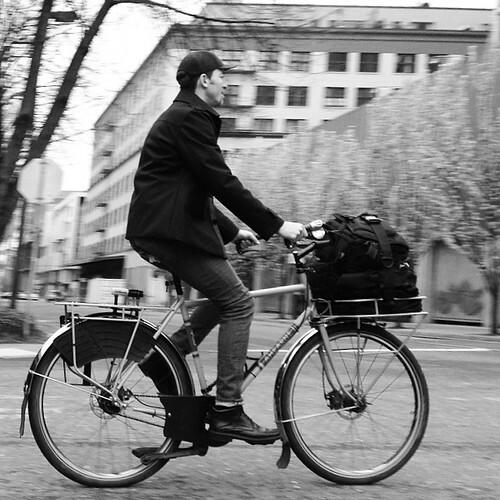 Oh Bike Commuters… they say” April showers bring May flowers.” I say “several months of rainy Portland winters bring out the crazies the first sight of sun!” If you’re not careful, you could end up sun-drunk the the first weekend the of Spring. 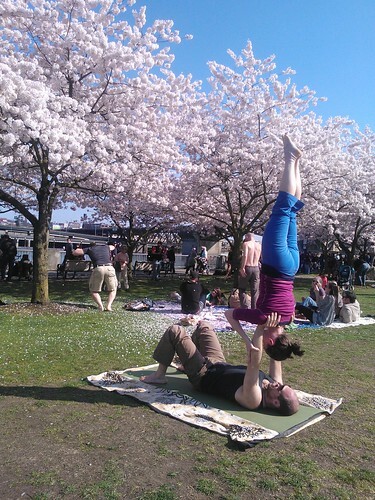 This year, the trees were blooming, the unemployed were tanning shoulders in the park, and acro-yogis were showing off their moves down by the waterfront. 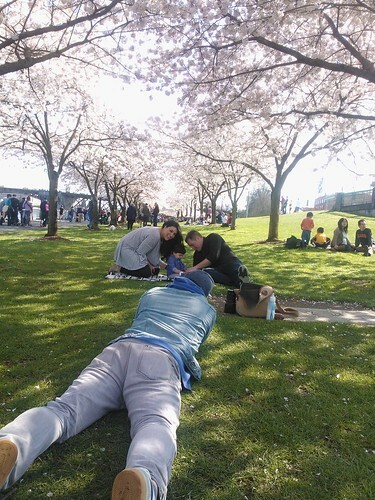 Can everyone agree that Portland in the Spring is just too much fun? 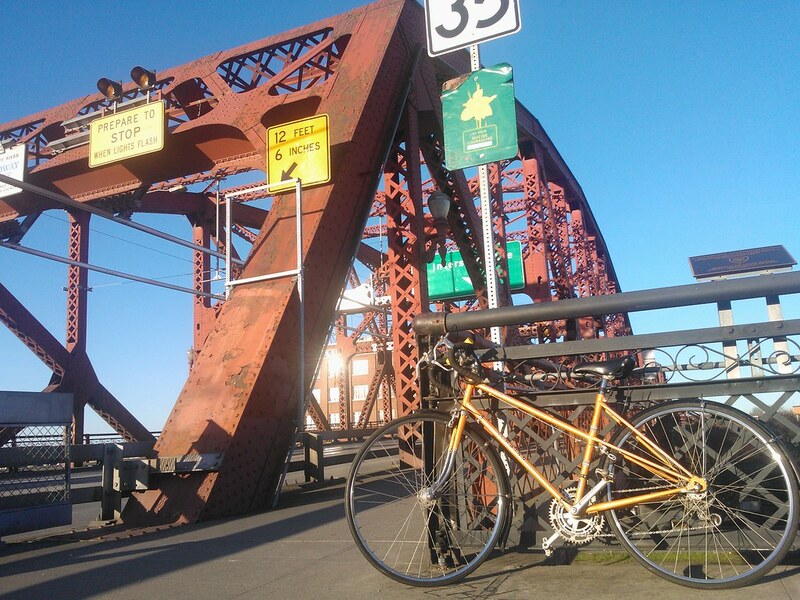 Let’s hope your sunshiney spring commutes are just as lovely as this one was a few weeks ago. So, my local barista friend and I (yes, I am friends with my favorite barista from my favorite coffee shop … SO PORTLAND!?) 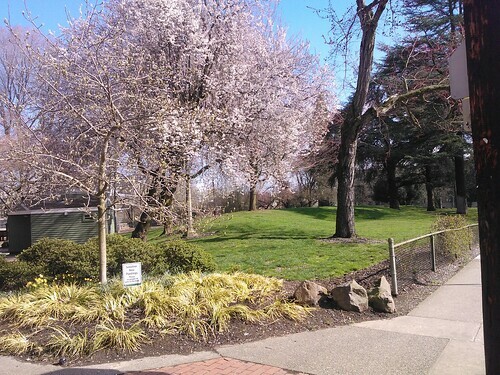 decide to joy ride from NW to SW in search of kale-oriented food stands, parsnips, and cherry blossoms. 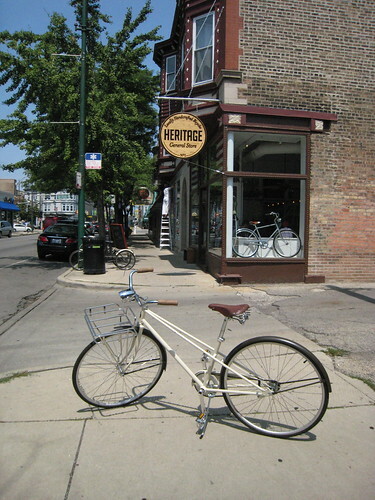 Oh, and maybe stop along the way for some bike selfies and shoulder-sunning. The city may have been putting on the best Spring show ever. 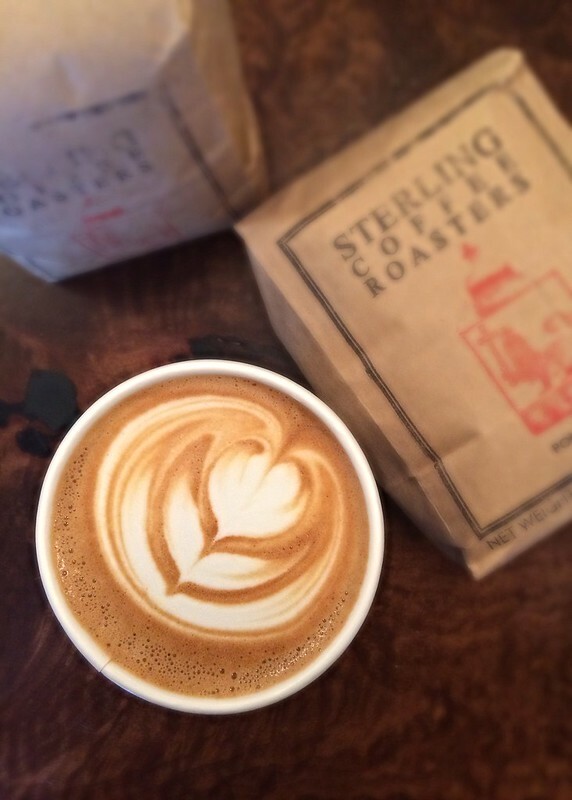 Cycle ladies in Portland, legs powered by Sterling coffee. Check out Couch Park by my apartment. Trees are blowing up! On this particular day, I even decided to bike completely out of my way just to get a little hill-action in. 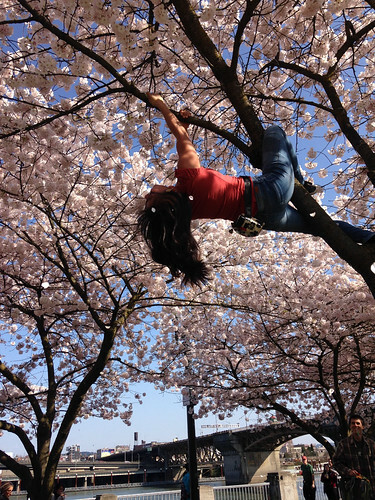 And by hills, I mean climbing a bridge so I could scope out the cherry blossom trees down by the waterfront. Okay, so I may have accosted this tree to make flower showers. And there are those pale-legged acro-yogis… you didn’t believe me, did you? Oh, and then we accosted this family portrait session. Last stop on this lovely day? 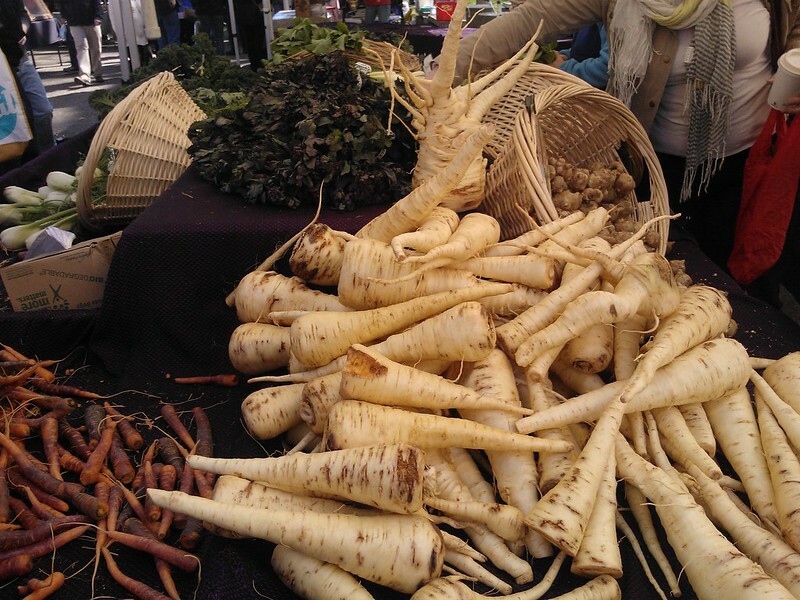 How about those PARSNIPS! PSU Farmer’s market for piles of veggies is a must-do for a sunny Saturday. I think I need to get me a Box ‘n’ Rack setup for more pumpkin soup. Parsnip Paleo spicy hummus will have to do until then. I’m not sure that anyone gets more excited about farmer’s markets and veggies and bikes than I do. It may be the ultimate combination: utility cycling, vegetables, and sunshine. My favorite Saturday agenda. PSU farmer’s market always delivers. Giant parsnips for the win! 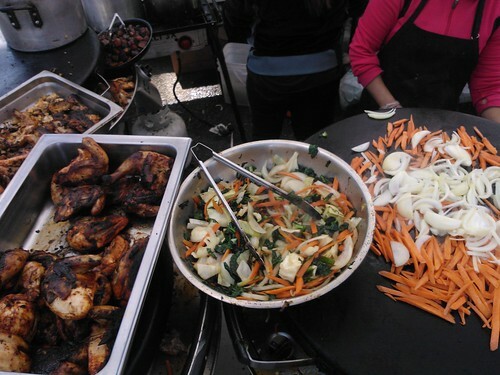 And Verde Cocina – my favorite kale-oriented food stand complete with Buenos Dias breakfast and cubes of slabby bacon. Enjoy the spring time bliss, Bike Commuters. For you year-round die hards, peel off those layers and rain slicks and get some sun in your daily ride. 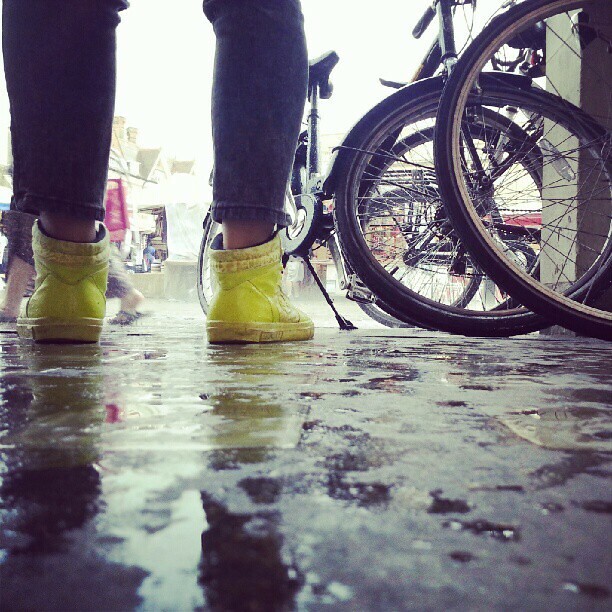 And for you fair-weather commuters, pump up those tires, grease your chain, and get ready to roll. Spring is here, and I hope your city is as fun to ride as mine! Friday Musing: Regulators! How would you regulate on your city? 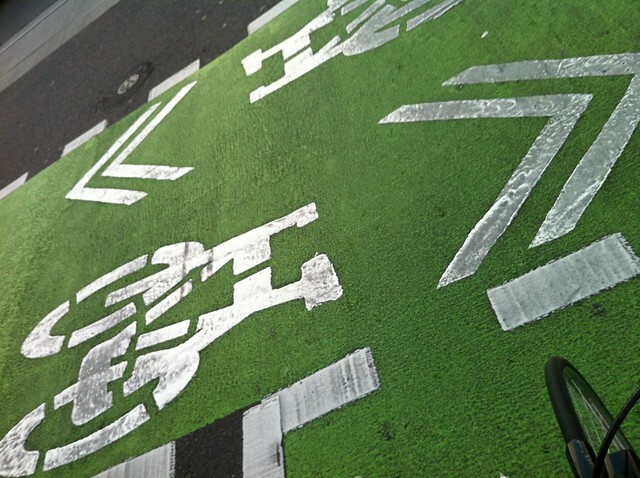 Install a “Bicipista” – like an autopista but instead of cars, only for bikes. It would stretch all across the city from Palermo to Belgrano to San Telmo. Put all the buses in the middle of the six-lane roads like the Metrobus in Mexico City, with footbridges to the bus stations at the median to keep the buses away from the bike lanes. Initiate a mandatory “bicisiesta”… if you ride your bike to work, you get a two-hour lunch, so you can eat and then have a siesta! Count the hours of your bike commute towards your 8 hour work day. Biking on the clock! 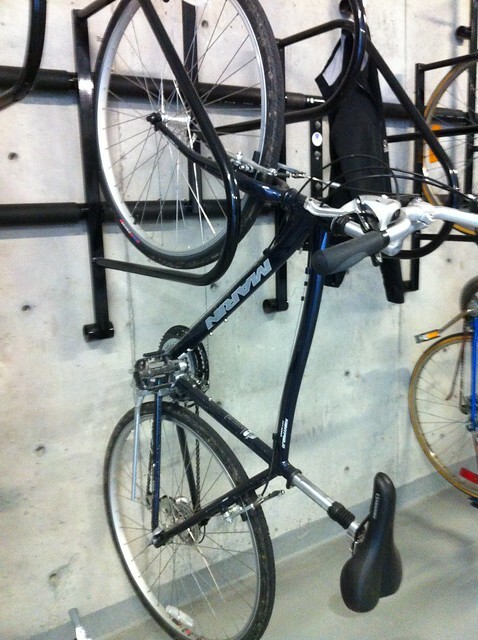 Make a new rule that all apartment buildings should allow bikes in the lobby, so that residents don’t have to bring them up the elevator to store them in their apartments. 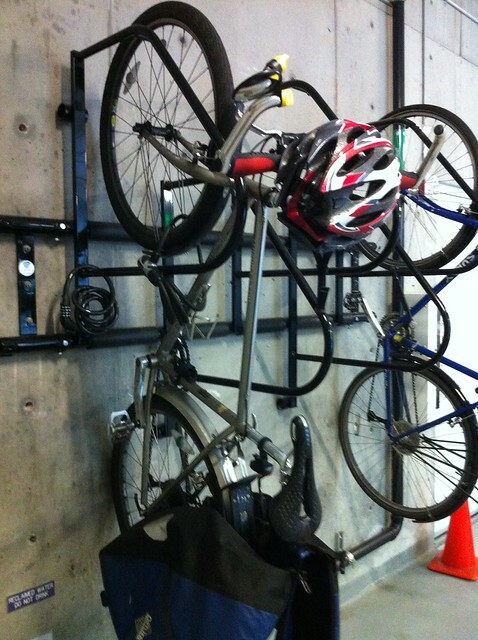 All parking garages must provide secure 24 hour bike parking. Connect all bike trails to all schools: high schools, middle schools, elementary schools, and universities. All bike paths should get the students where they need to go! “Bicibars” in the downtown areas: provide incentives for the bars to include bike parking and bike repair stations in the bars. 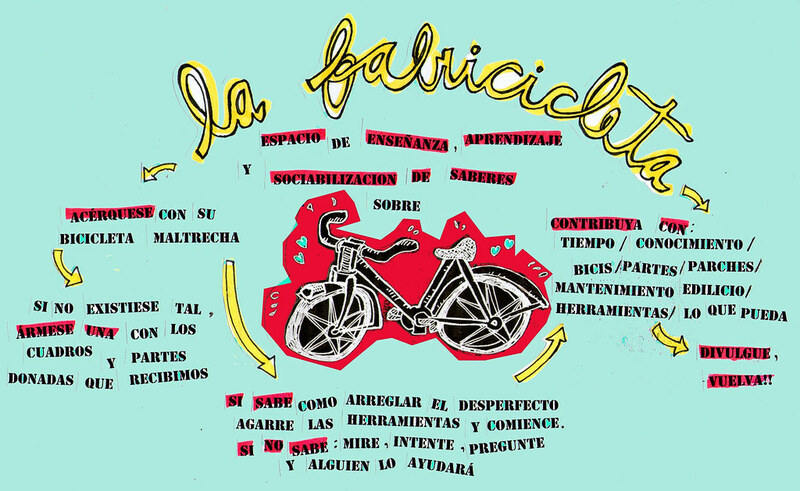 Offer business incentives to make more bike kitchens and bike fixing collectives like La Fabricicleta. 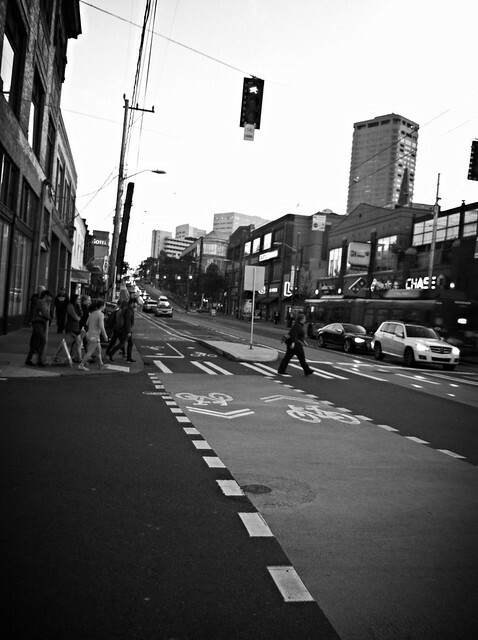 Let’s get harsh: Get rid of all street parking in downtown and replace it with separated bike lanes! “Bicitaxis”- illegal for taxis to cruise around certain parts of the city, so replace them all with bike taxis… hey if rickshaws work in India, this could work in Argentina, right? Replace city school buses with Bike buses, where the driver is the teacher, and all the kids pedal. 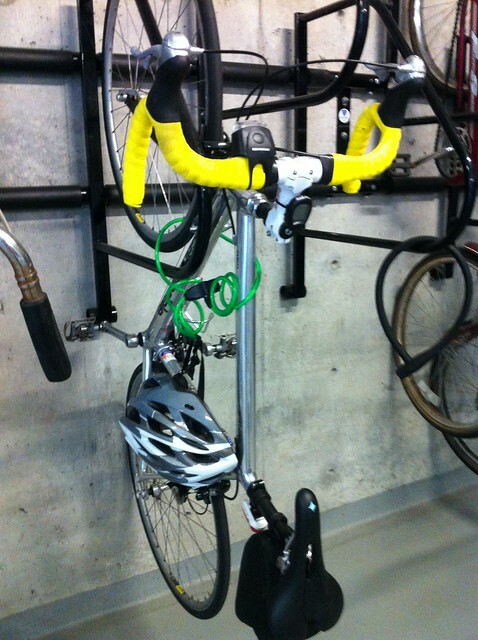 Provide city wide showers, lockers, and changing rooms for all bike commuters so they can change before and after work. I love lists, and I love Friday Musings. 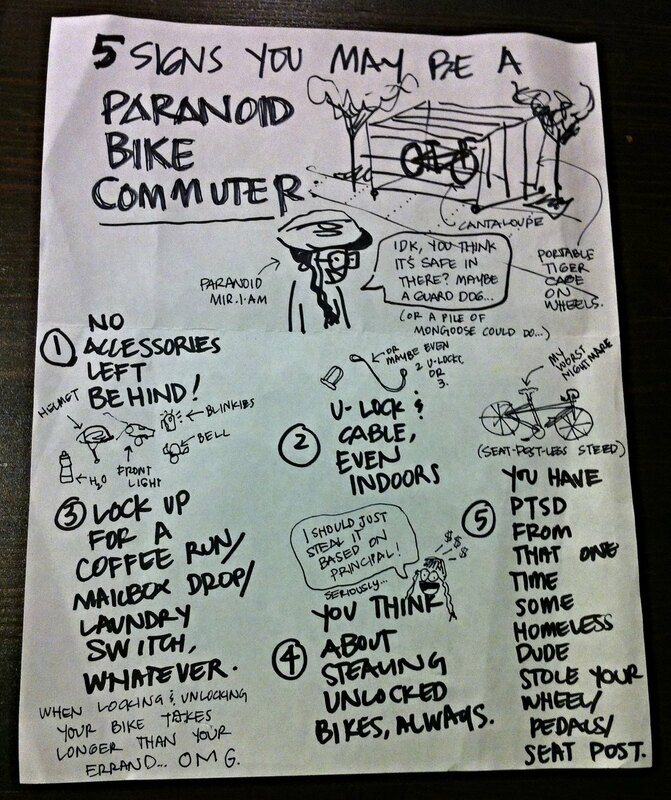 So, Bike Commuters, hit us up in the comments box if you’ve ever had some crazy ideas that you wanted to regulate in your city. 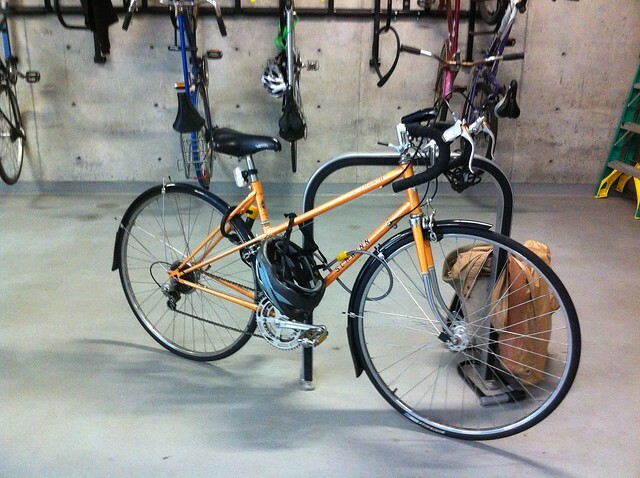 A couple of weeks ago I asked for your help in naming my “new-to-me” blue mtb commuter bike. “B” For the color and the bug that goes fast and stings people. Bandita, to remind you of El Toro and to lock her up! 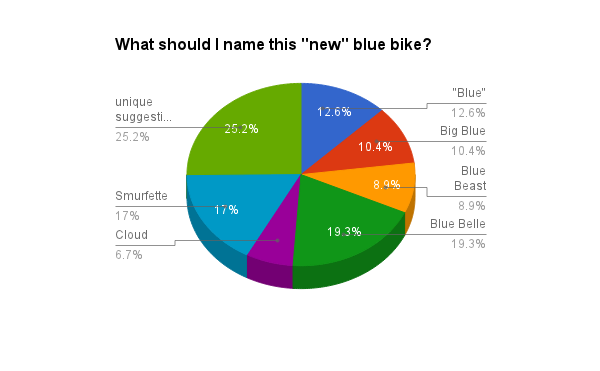 The results clearly show Blue Belle was our readers’ favorite name; it’s also a name suggested by a fellow commuting friend of mine. Smurfette came in 2nd. The suggested name Grover made me laugh! And then I wondered – should the name Cookie Monster also be a contender? 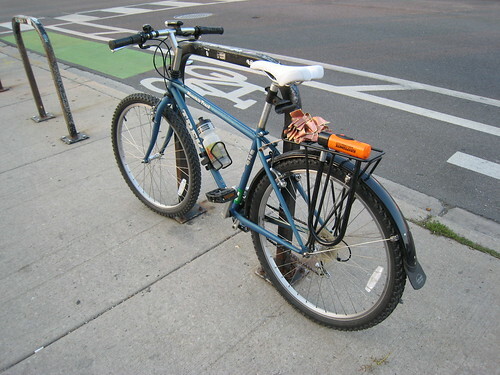 I’ve personally referred to this bike already as the Blue Beast (and its Spanish equivalent “La Bestia” – a reference back to the Spanish naming much like “Toro”). La Bestia seems to fit best on those days that I wrestle with her heft and rolling resistance on the road but also feel like this bike can roll over anything. 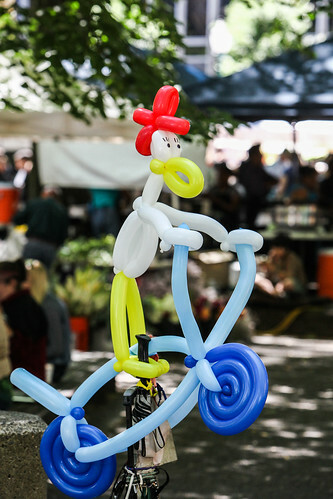 I have tried calling the bike Belle on good days, but something about Belle just doesn’t quite fit…. I’ve ridden another bike for which the name Belle would be more fitting. 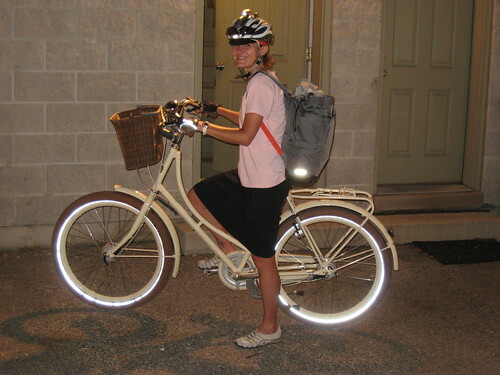 The final suggestion that a friend recently emailed to me is the name Gazelle… I think this one could be a winner. As my friend noted, the name Gazelle is both “a feminine name and it connotes movement”; I agree. To further complicate the matter, one more name caught my attention this past week. My workplace just hosted a Bike Blessing to celebrate the feast of La Madonna del Ghisallo (patron saint of bicyclists). To me, Ghisallo is similar to Gazelle… so I guess you can see how I’m leaning. 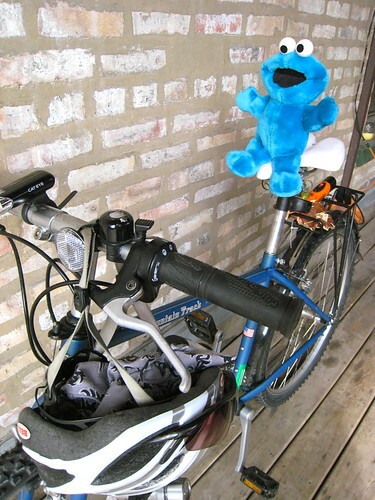 As I continue to ride her (him?/it?/the blue bike), I’ll better figure out this bike’s personality and more firmly decide on a lasting name. Thank you to all who responded… your votes have definitely been heard, counted, and considered.